The risky and unpredictable nature of the clinical trial process is a major driver of high costs for pharmaceutical drugs. To justify the costs of drug development, most pharmaceutical companies aim to develop 2-3 new drugs per year, but the success rate and long development timelines with clinical trials diminish the chances of a successful product to nearly zero. This huge uncertainty translates into higher prices for everyone, from the investigator to the end consumer. In addition to increased costs, today’s researchers face the challenges of accurately reproducing data, efficiently sharing data (including personal data), privacy concerns and patient enrollment strategies. Fortunately, there’s a new technology attracting significant attention in the research community that can provide solutions to all of these problems: blockchain. Blockchain technology utilises a distributed computer network platform that enables databases to store time-stamped transaction records and documents. Each server (or node) in the network processes and verifies each data entry, then archives all transactions, along with the history trail, which is every transaction ever recorded to the network. The best part about blockchain is that data stored in a blockchain is essentially impossible to hack, infringe, or steal, because the ledger is not kept on a single repository, but is spread throughout multiple databases in replicate copies. These verification requirements ensure that stored data remains intact and immutable. Blockchain is a safe and secure platform for storing and processing all types of valuable information, from clinical trial analysis results to business workflow documents to patients’ medical data and blueprints of genetic information. Three of the biggest pharmaceutical conglomerates – Pfizer, Amgen, and Sanofi – are working side-by-side to find the most effective ways to utilise blockchain technology, from storing safe data to speeding up clinical trials and ultimately lowering drug development costs. With enormous amounts of clinical trial data being generated every day, and pressures from commercial and regulatory agencies to overcome big data hurdles, it’s becoming obvious that legacy data management systems are not powerful enough to process and retain the data extracted from all of the current research studies, posing problems for patient privacy, as well as data integrity in general. Another major problem in the pharmaceutical industry is patient data and its accessibility. It is imperative for investigators to have the ability to locate individuals for particular studies. With current technologies, however, data is scattered across multiple proprietary systems that are often independent and incompatible with each other, making it extremely difficult to recruit individuals for trials. To make matters worse, even when investigators do find enough patients to initiate an effective clinical trial, the quality of patients for that particular treatment or medical condition could still be an issue, or even result in an inaccurate study with false positive or false negative data. Blockchain can help prevent that. Recently, a study was conducted to better understand and heighten awareness of the difficulty of enrolling patients for clinical trials, and the results were dire. Researchers examined how many patients were aware of ongoing and available clinical trials and found that a mere 16% of patients were actually aware of relevant clinical trial options during the time they were considering treatment options. That means that approximately 85% of patients had no idea that valuable clinical trials were in operation or that they would have benefited from treatment that the trials offered. To think that so much money and time is spent on developing drugs and almost none is spent on finding patients for clinical trials is astounding, and the public should be made aware of it. Blockchain technology will be able to directly increase the quantity and quality of patients recruited for clinical trials in a number of ways. This type of distributed ledger could allow individual patients to store their medical data by anonymous methods, thereby making it visible to trial recruiters, who could then reach out to the patients if their data qualifies for the clinical trial. It could also streamline the communication between doctors and patients during the trial. Blockchain has the tools to provide smart contracts that endorse transparency and traceability over clinical trial sequences, and can provide financial incentives for a patient’s participation and sharing of their data. There are so many rewarding benefits for integrating blockchain technology into clinical research, from tracking and sharing data to the needed transparency and privacy concerns for patients. The global impact of implementing this technology will be both momentous and timely. 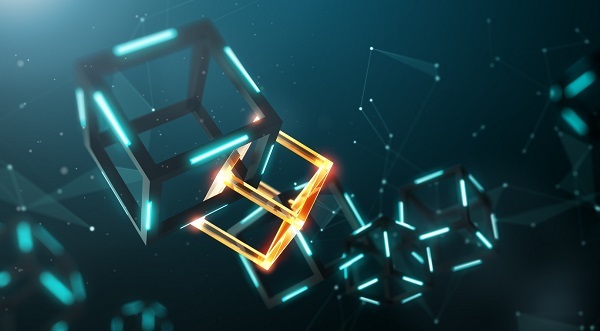 The coevolution of blockchain and clinical research studies is still in its infancy, but researchers are continually collaborating to find new ways of cutting costs and saving time for a wide range of applications in the clinical trial setting. Ultimately, their efforts will result in cheaper drugs for everyone.